Bridging the worlds of fiat and crypto. Brought to you by the Liquid team to help you make sense of crypto. We recently launched our new trading fee structure on Liquid. Our new low trading fees are just 0.05% (or 5bps) for maker and taker when paying fees in QASH. You can pay even less thanks to our promotional trading fee rebate campaign. The more you trade, the more you can earn back in QASH. W have launched a promotional campaign for a trading fee rebate, payable in QASH, for Liquid customers who trade at least 25 million USD in volume per calendar month. This rebate is applicable to all Liquid products (Spot, Margin, Infinity). Rebates are calculated at the end of each calendar month, with payouts made on the fifth business day of the following month. The first payout is scheduled for May 5. The more you trade, the higher your rebate. *A 0.05% maker/taker trading fee applies when paying fees in QASH. The fee when not paying in QASH is 0.1%. This content is not financial advice and should not form the basis of any financial investment decisions nor be seen as a recommendation to buy or sell any good or product. Trading cryptocurrency is complex and comes with a high risk of losing money, particularly if you trade on leverage. You should carefully consider whether trading cryptocurrencies is right for you and take the time to learn how trading works and decide how much money you are prepared to lose. Providing liquidity for the crypto economy. Liquid.com is a platform committed to transparency, fair price matching and building legitimate..
By Liquid Co-founders Mike Kayamori and Mario Gomez Lozada. 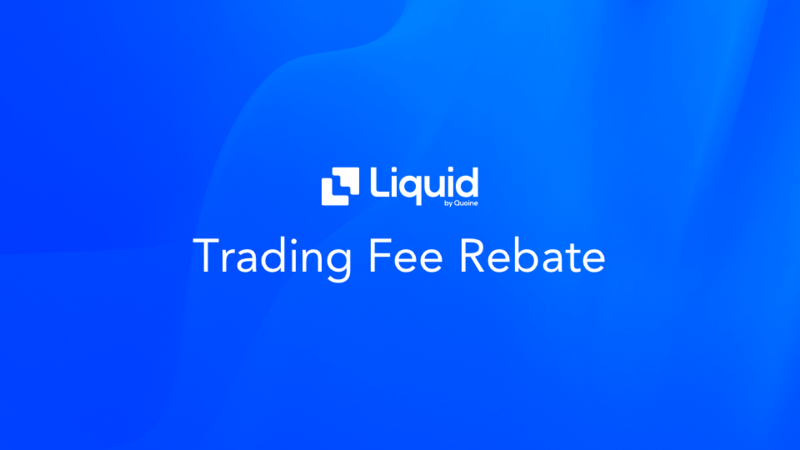 We began 2019 with a lot of..
We recently announced our new and improved trading fee structure on Liquid, with a flat.. Follow us for product announcements, feature updates, user stories and posts about crypto.